Barcelona is one of the most popular cities in Spain, though it is within the region of Catalunya. This region prides itself on its distinct culture and language, so a longer visit here will give you a good glimpse at a different part of Spain. Barcelona is such a big city with so much to explore, which is why I think it makes an excellent choice for a city break. This post will tell you about Barcelona’s highlights and how to enjoy your time there. Barcelona is full of Gaudi’s work. It would be impossible to visit the city without seeing any of it. La Sagrada Familia is his famous still-unfinished cathedral. Take the time to walk around the outside admire all the details on the facade of the cathedral as well as exploring the amazing interior. Get there early to avoid the line or book your ticket ahead of time since this is one of the top attractions in Barcelona. Another must-see attraction is Park Güell. Entrance to this quirky park used to be free, but recently a fee has been imposed, so it’s worth booking ahead as well. You can even book a ticket that combines the cathedral and the park. Other significant Gaudi sights include Casa Batlló, Casa Milà, Casa Vicens, and La Pedrera, though there are plenty more throughout the city. His architecture was, and continues to be, quite unique. You could spend your entire trip wandering the city and admiring his work. 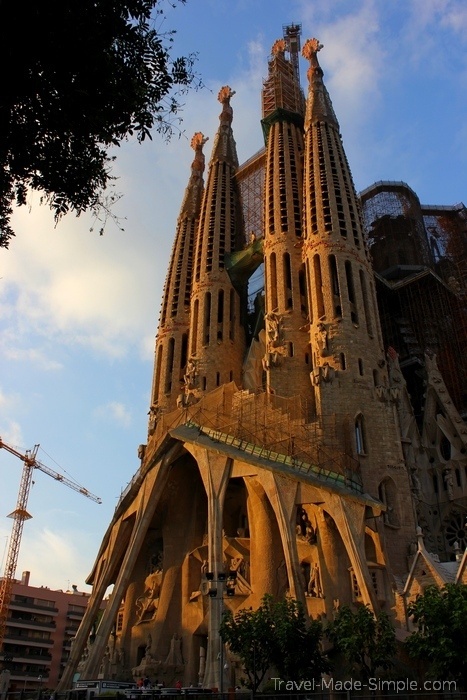 Consider a Gaudi tour if architecture is a big interest of yours. Interested in other artists this region is known for? You could also consider taking a day trip to Girona to learn about Dali and his artwork. Girona is just 40 minutes from Barcelona by train. The different neighborhoods of Barcelona each have their own character. In the Gothic Quarter, check out the Gothic Cathedral and Plaça del Rei for some Gothic and neo-Gothic architecture, centuries of history, and the former residence of the kings of Catalunya and Aragon. Las Ramblas is a more upscale area dominated by a street by the same name. This is a great area for shopping, theater, and fine dining. Much of it is a pedestrian area, and due to its popularity, it can be quite crowded. The waterfront and Barceloneta area is near the port. This was once an old fisherman’s quarter, though today you’ll find clubs, bars, and a variety of seafood restaurants. 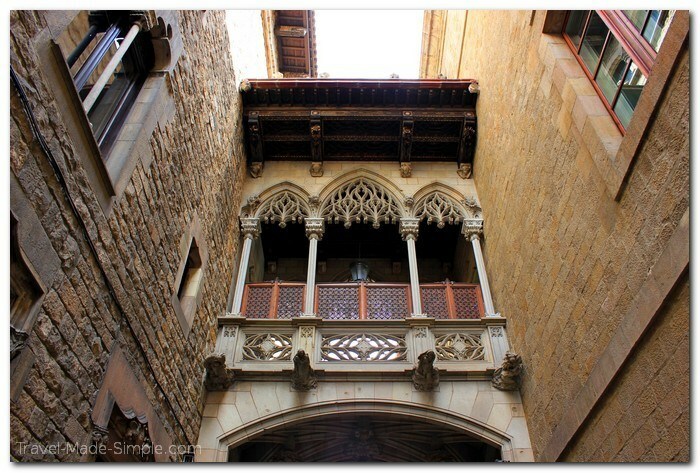 L’Eixample is where you’ll find most of Barcelona’s modernisme, or art nouveau. It’s where most of Gaudi’s work can be found. 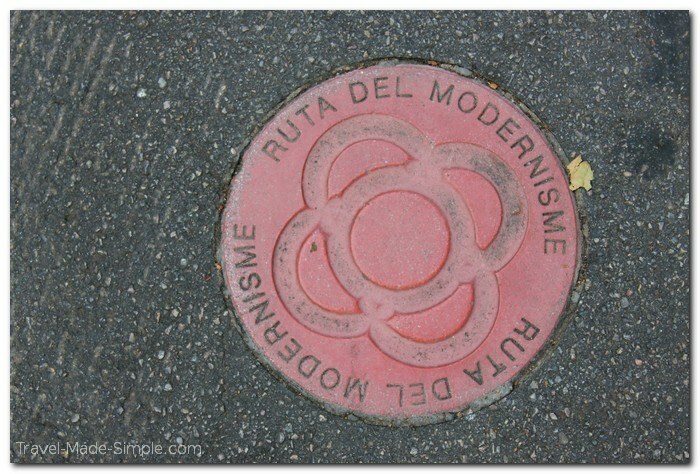 Follow the Ruta del Modernisme to explore this area’s 20th century masterpieces. Branch out. Try starting in one of these neighborhoods and just wander around a bit. You’re likely to find yourself a bit removed from the tourist crowds, and you might stumble on an interesting cafe or shop you wouldn’t have found otherwise. Dip into local pastry shops, butchers or markets. Ask a local for their recommendations on restaurants. Barcelona is a big enough city to keep you occupied for at least a week, if not longer. Spend a few days seeing the big sights, but also take the time to simply sink into the city and discover things you won’t find on a list of attractions. Slow travel is key here. At Travel Made Simple, we LOVE food tours. They’re so much fun, and they are a great way to learn about the local culture and the foods that have shaped the city. Consider taking a Barcelona food tour to enjoy the unique cuisine and discover restaurants you wouldn’t find on your own. It’s not always easy to figure out where to find those local gems. It’s easy to spend your whole vacation in the tourist areas and miss out on a more rich experience. But what if you had a friend to direct you to a great cafe or introduce you to a local dish? 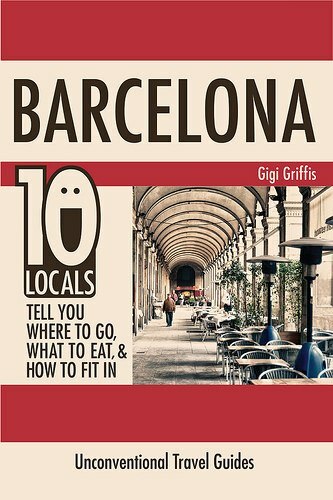 The unconventional guidebook Barcelona: 10 Locals Tell You Where to Go, What to Eat, and How to Fit In by Gigi Griffis does just that. Gigi has interviewed 10 Barcelona locals, both natives and long-time expats, who spill their secrets on how to enjoy the city beyond the tourist sights. Through their interviews, you’ll learn about local food you might not have heard of before. You’ll find out where to get the best views of the city, what sights are worth checking out that rarely see tourists, and where to take day trips. 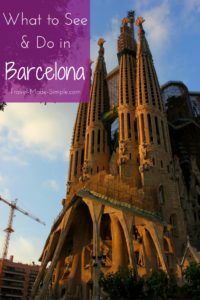 Of course they all recommend the big stuff like La Sagrada Familia, but their valuable advice will lead you to other parts of the city that reveal its true character. Think of it as your new best friend from Barcelona who will show you the best things you’d never find on your own. Take a city break trip to Barcelona. Explore the city beyond the big attractions by picking up a copy of Gigi’s unconventional guidebook. Travel slowly through the city to really experience its charm and character. Resist the urge to rush through in a few days. 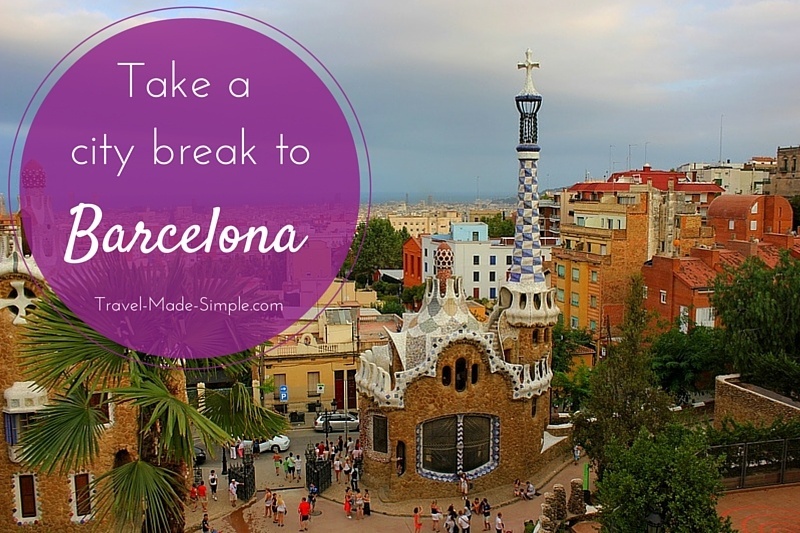 There’s so much to be enjoyed by taking your time in a city like Barcelona.